Alex De Vera Dizon 9/30/2010 art of movement, big bang, concert, count on me, jay park, kpop, manila, rain, sm mall of asia, smx, south korea, taeyang B.o.B. Also know as Park Jaebeom, Jay Park, the former leader of South Korea’s boy band 2PM is set to melt Filipino’s heart on his first ever concert in the country at SMX Convention Center, SM Mall of Asia. In his press conference, Jay Park wholeheartedly answered all the questions asked to him by the Filipino press and some Korean press. He even shared some personal stuff about him that his Filipino fans would love to know. As for me, I didn’t know much about him, except that I find him so hot in his Youtube video of “Count On Me”. The song that made him a Youtube sensation and made him be on the spotlight again of South Korea’s entertainment world after leaving 2PM. I also think that he looks like Rain and Taeyang of Big Bang that's why I like him. “Count On Me” is an original B.o.B. song that’s been hitting the top charts in the country nowadays. Jay Park also introduced to us his new b boy group that will be there with him onstage in his concert – the Art of Movement. Composed of six young guys, three are half Filipinos, they are all set to rock Manila giving them an outstanding fusion of Asian talents. 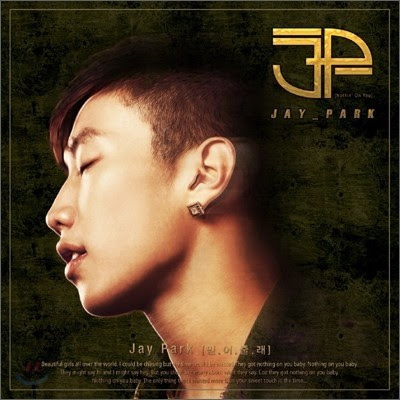 And now, I’m currently loving Jay Park’s EP – Count On Me – which you can buy from your favourite record bars starting tomorrow, October 1. This EP is under Warner Music Philippines and it includes a full melody version of “Count On Me (Nothin’ On You)” in Korean and English and a special Subman and KYU remix. So, to all Jay Park fans out there, see you all on October 3 at SMX Convention Center, 7pm for the Jay Park The Fan Meet 2010! Wee! And if you wanna join us, you can call TicketWorld at (02) 891-9999 or SM Tickets at (02) 470-2222. For limited VIP ticket, you may call (02) 374-9999! Jay Park in Manila! Wee! I love K-Pop!